Dr. Robert Marshall is a Democratic candidate for Governor of Illinois. He is a licensed physician and Vietnam veteran who has served on the Burr Ridge Board of Trustees and the Burr Ridge/Willowbrook Chamber of Commerce. 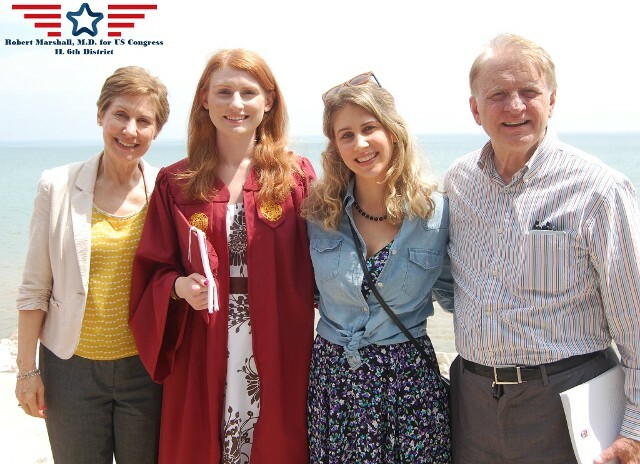 Dr. Marshall is a proud Democrat who will fight for political reform, affordable healthcare, and fiscal responsibility. Dr. Marshall was born in Dayton, Ohio to a modest working class family. His father protected the community as a police officer at Wright Patterson Air Force Base while his mother tended to the household. Together the Marshall family lived in public housing until they carefully saved enough money to build their own home when Bob was 14. Bob attended public school until his academic performance earned him a scholarship to a private school in Exeter, New Hampshire. As a young man he was an active member of the community and frequently volunteered through organizations such as the Boy Scouts of America and 4-H Clubs. 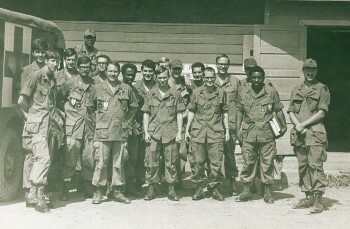 When he was older he proudly served his country during the war in Vietnam. 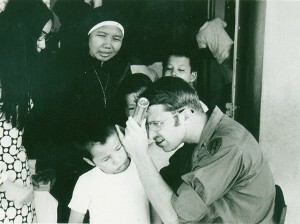 Dr. Marshall (right) with his team of medics at a clinic in Long Binh, Vietnam. Dr. Marshall attended Oberlin College, where he was awarded membership to the prestigious Phi Beta Kappa honor society, and was granted special admission to Harvard Medical School. He completed his specialty training in New York and Boston, and served as the Assistant Director of Radiology at MacNeal Hospital for three years until opening his own private practice in 1984.
pictured is the Mother Superior in charge of the orphanage. Dr. Marshall continues to work as a radiologist in cities and towns across the state, from Metropolis to Rockford and Rock Island. In 1989 he was elected to serve his community on the Burr Ridge Board of Trustees, where he was a voice for responsible local policy. He joined the board of directors for the PAV YMCA club in Berwyn, and has been active in the Burr Ridge/Willowbrook Chamber of Commerce and the Berwyn Development Corporation. Dr. Marshall lives in Burr Ridge with his wife Susan and their children. Paid for by committee to elect Robert Marshal.